What do you blog about when there's nothing to blog about?! I ended up back in NM recently due to an illness in the family, and just haven't felt much like doing anything creative. Also, work has been quite busy (same for the Roommate); I had 2 all-day conferences last week, one of which I presented at, and that stuff takes more time than you think it will. We've also had freezing cold weather, and I do a lot of walking outside. Sometimes I get home & really can't bear to do much other than sit on the couch & get warm! I'm not complaining...I love winter & the chance to wear my turtlenecks & woolen suits & eat hearty soups, but I do believe the cold takes it out of you. The snow has been fun--haven't seen any in a long time; it was the first time in our house! Right now I'm fixing again a too-strong magnet snap on the front of a lovely green leather purse. It tore through the lining about the 4th day I used it. I repaired it once, but sort of over-repaired it: in trying to weaken the magnet a bit, I over-weakened it & it wouldn't stay shut at all. Now I think I've got the magnet just the right amount of weakened, and am hand-sewing it in via an interfacing-lined contrasting patch. I hope it works because I really like the purse...lots of pockets & shiny green leather. Yum! While sewing, I usually watch stuff on hulu as we don't have a TV. Right now I'm thrilled that Project Runway 11 is on, and especially excited because there's a Native American woman (from Taos Pueblo) on this year & she's good. Patricia Michaels, has great turquoise jewelry, too, which I envy. I don't really want to be a designer, I really just wish I could zoom back to Abu Dhabi & get Mohammed to copy some stuff for me! 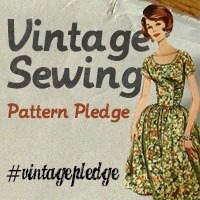 Some exciting news: My friend Tilly has just released her first pattern. I know she's been dreaming about this for a while, so it's exciting to see a friend's dream come to fruition. She runs most days, sews a lot, has a full-time job & travels for work, so I don't see how she does it. Check out the new pattern, the Mathilde blouse! Not only do you get a cool pattern, you get all sorts of helpful info, such as using contrasting fabric, how to deal with digital patterns & what the heck to do if your measurements don't fit into one size or another. Tilly is an excellent teacher, so check out the blouse & her blog to get learning. I also just discovered, via a tweet from DIYCouture, The People's Print. I love the idea of designing my own fabric (Spoonflower is another place, too). This is The People's Print's manifesto: The People's Print pioneers new concepts for textile design combining traditional and digital technologies, open source, participatory and co-design, aiming to create a community of like minded people with a passion for designing their own textiles. 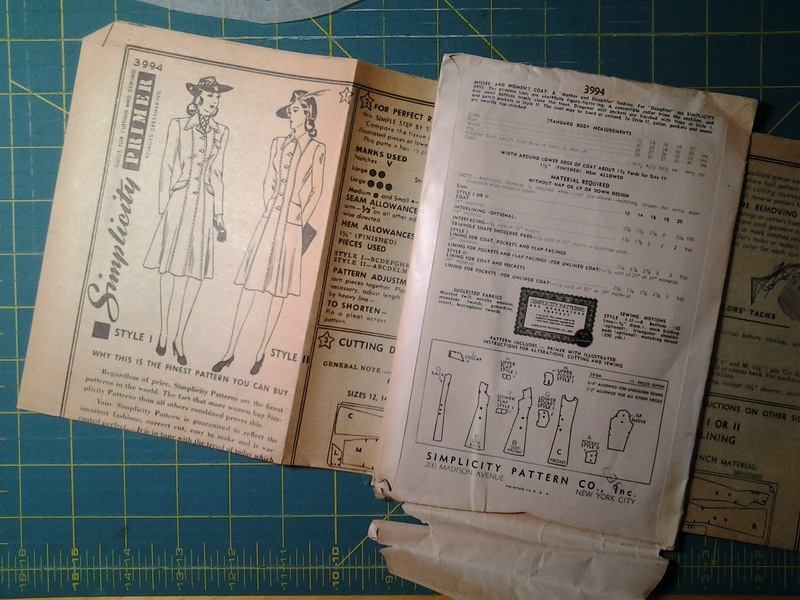 Work continues anon on Simplicity 3994, from 1941, when Bella isn't assisting. But it's slow (I had to seriously re-design the princess seams & even add a dart; all thanks to Allison @ BitsofThread.com). That type of fix/re-fix/fix again really takes it out of me & I end up getting quite sick of the project & want to never look at it again. So 3994 & I have been avoiding each other the last few weeks.